There’s nothing about these soaps that aren’t amazing. That may sound like hyperbole, but we mean it. This soap isn’t just locally made or locally sourced. 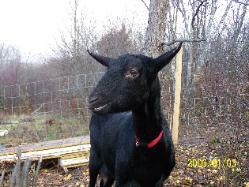 It’s made from scratch using ingredients from their own farm. If using all natural ingredients that you grew on your own farm wasn’t enough, the packaging isn’t plastic – it’s made from biodegradable corn. That means you can compost the soap’s packaging. 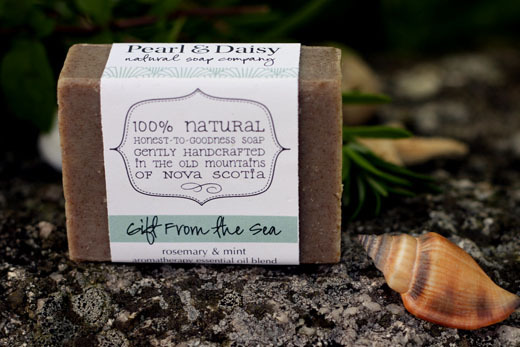 NS is not just for Nova Scotia, but also for natural soaps. Like Bohemian Bubbles, Pearl & Daisy make all natural soaps right here in our own province. You won’t find even a little bit of synthetic or artificial colours or chemicals in their soap or bath soaks. Made in the Cobequid Mountains using all natural materials – some grown in the area (like the hand picked rose hips) – each soap formula is different. 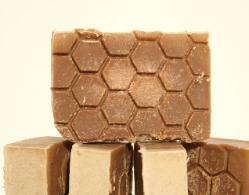 There is a bar for troubled skin, for dry skin, for younger skin and for older skin. And every bar has an amazing scent. We carry soaps and bath soaks in From the Sea (rosemary & mint), Beach Glass (basil & lime), Orange Bitters (mandarin & vetiver), St. George (ginger & nutmeg), Sand Dollar (vanilla & sandlewood). Beach Glass might be my favourite – it smells good enough to eat (I won’t eat it though). These two new lines of soap join Lido Skin Care on our shelves. Lido is a line of all natural, organic Nova Scotia made skin care products for both babies and grown-ups.